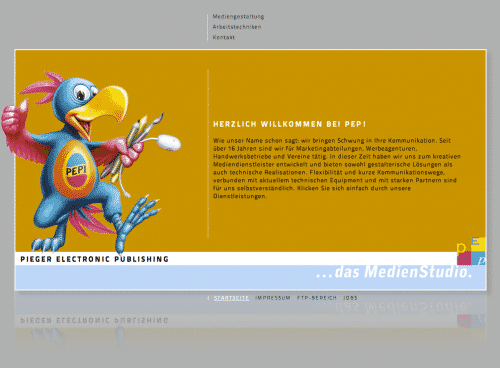 Last year I developed a nice and small ruby based backend for the new website of Pieger Electronic Publishing. It’s a small design company based in Grafenau, Germany. If you need your next design job to get done. Feel free to contact them. I really recommend there work. Now there new website is finally online. They have this awesome parrot in a different situation on every sub page. It’s really worth to click trough all of there pages. Just awesome!